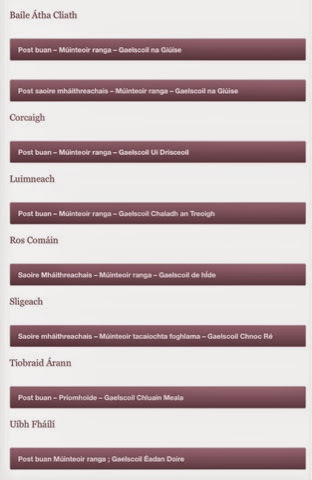 Welcome to the Abbey's Irish Blog. 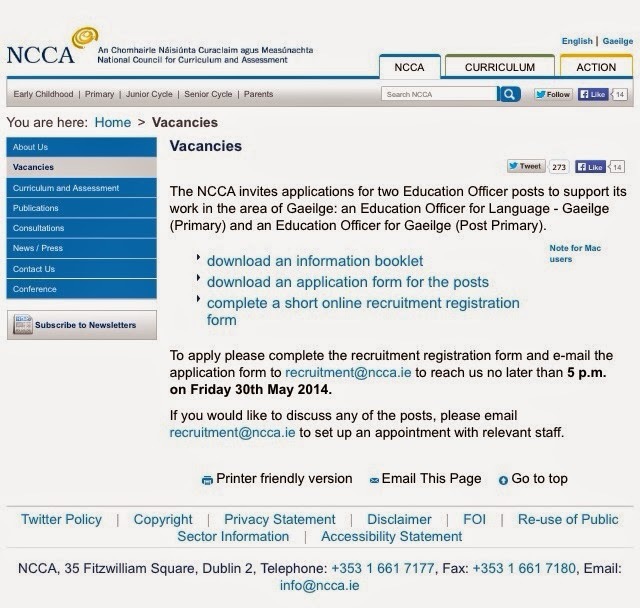 Check in regularly for updates on pupil ICT work, jobs information and interesting videos. 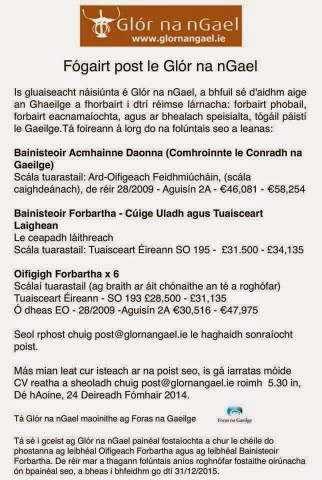 Irish is an official European Language since 2007 with the same legal entitlements as all other languages with the exception of English, German and French. 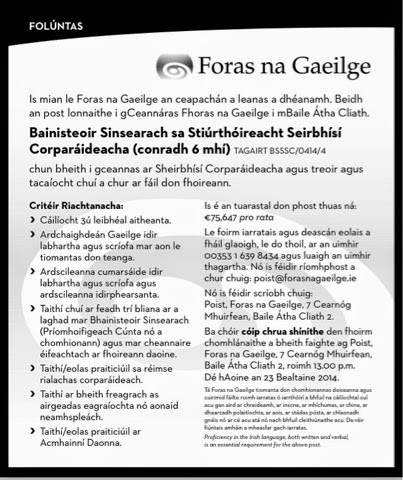 Irish is an official language of the Irish Republic - its use is protected under the Official Languages Act 2003 which is responsible for the recent upsurge in public use of the language. 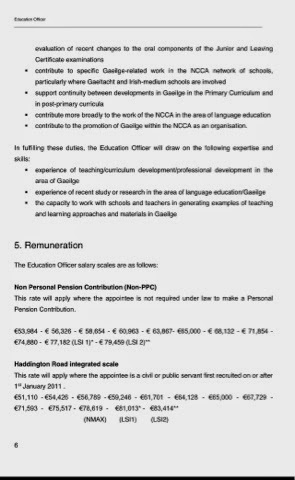 The rise of Irish Medium Education throughout the island of Ireland has provided a greater need for teachers that are able to teach a range of subjects through the medium of Irish. 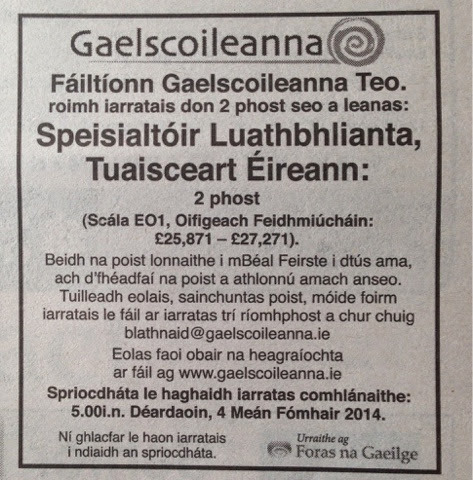 Occasional Irish Language Translators required. 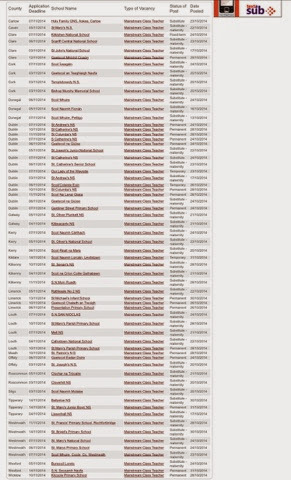 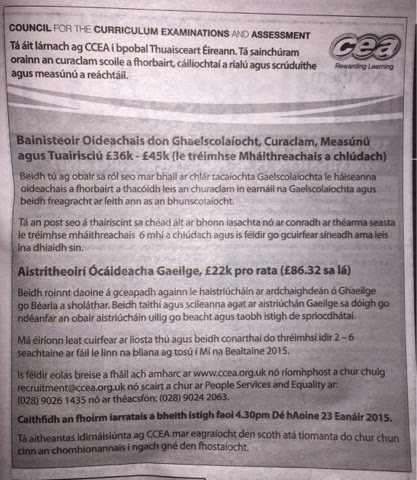 82 teaching vacancies in Ireland. 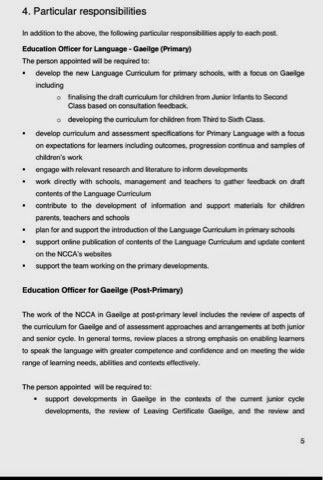 Primary (Irish Core Curriculum Requirement), secondary and Irish Medium Schools included throughout the Irish Republic. 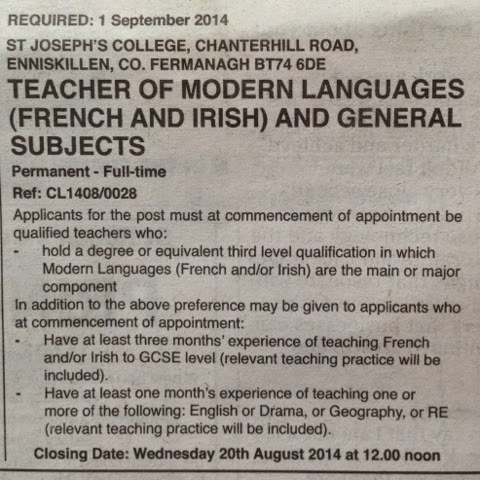 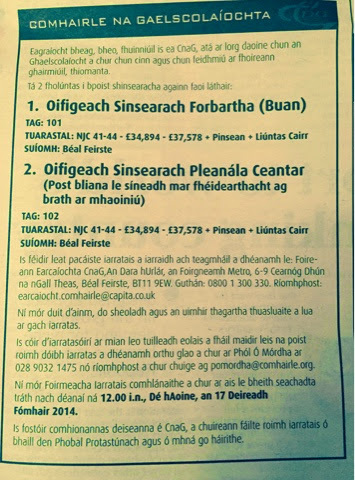 The EU are currently recruiting Irish Language translators on a temporary contract for 9 months. 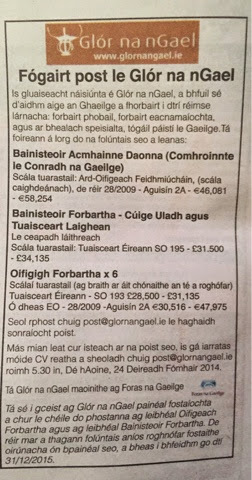 Salary starts at €4,384 per month (€39,456 for the 9 month period). 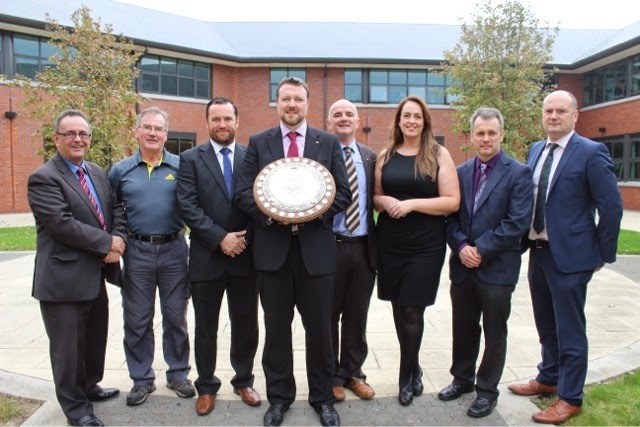 Staff and pupils at Abbey Christian Brothers’ Grammar School were officially presented with the prestigious SciathMhic Giolla Bhríde / Ashbourne Shield at a special ceremony held on Friday 18th September in the school library. 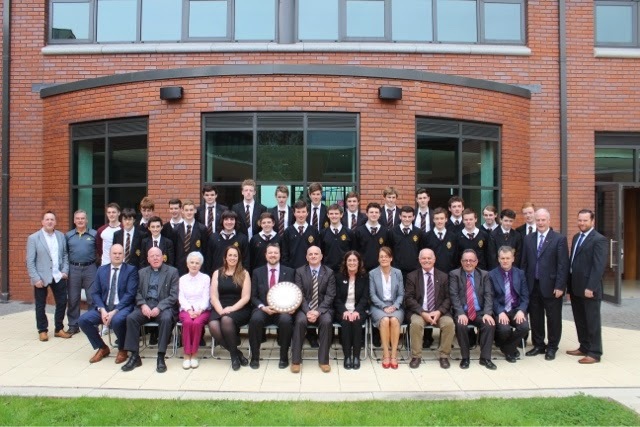 For the past 78 years,The Ashbourne Shield has been a much coveted award presented to the best boys’ and best girls’ school in Northern Ireland for spoken Irish. 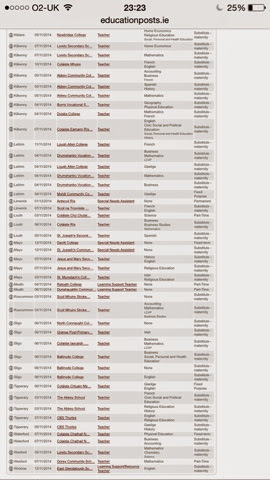 First presented in 1936, the Abbey has to date, received this award six times in 1941, 1942 1992, 2001, 2004 and now in 2014. 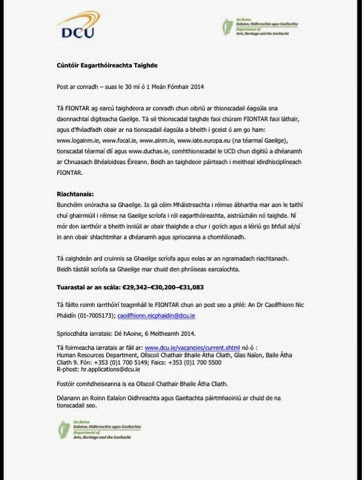 Adjudicators from Comhaltas Uladh were very impressed by the high standard of all participating pupils in April. 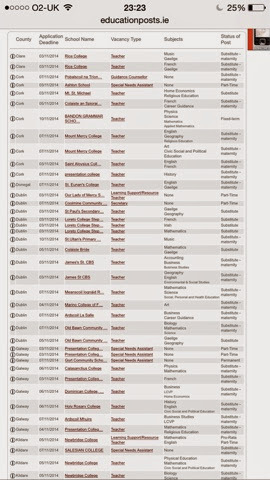 A number of A Level and GCSE students as well as a number of students who have come through the Irish medium Primary sector were assessed in April this year. 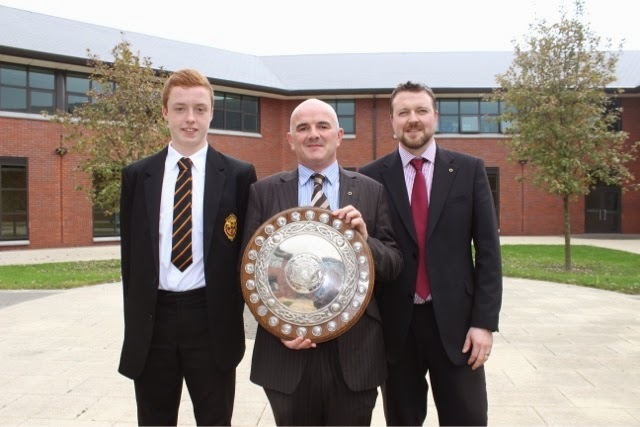 Neil Comer, President of Comhaltas Uladh, and past pupil of the Abbey himself, presented the Ashbourne Shield to EoinCarr (Year 10 pupil) and congratulated the Irish Department on achieving such a high standard of spoken Irish. 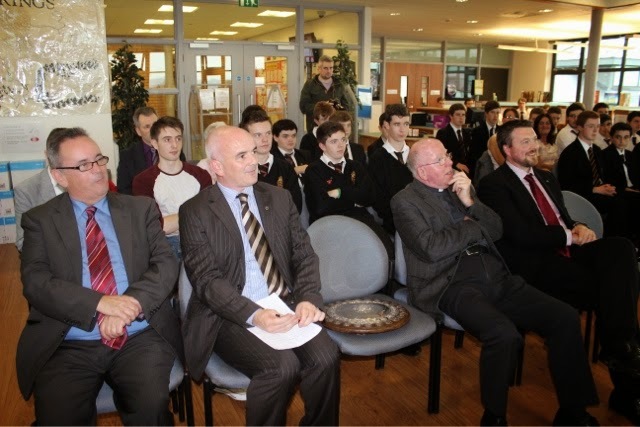 In his opening address, Mr Mc Govern, Principal of the Abbey, referred to the late Cardinal Tomás O’Fiaich’s assertion that winning the Ashbourne Shield and/or the MacRory Cup were two signs of a great school. 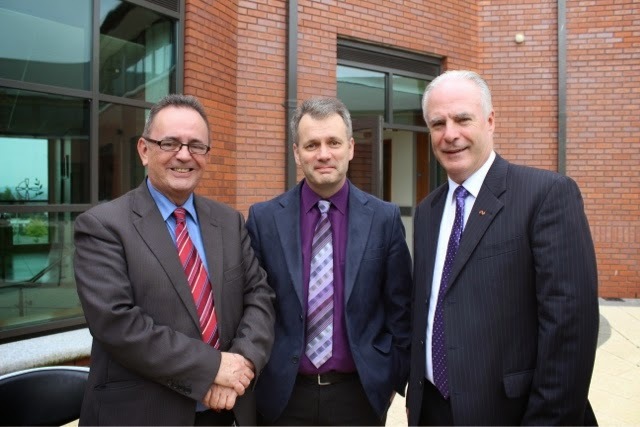 He thanked the invited guests and congratulated the Irish Department and all the pupils once again for allowing the school the opportunity to celebrate winning this fantastic award. 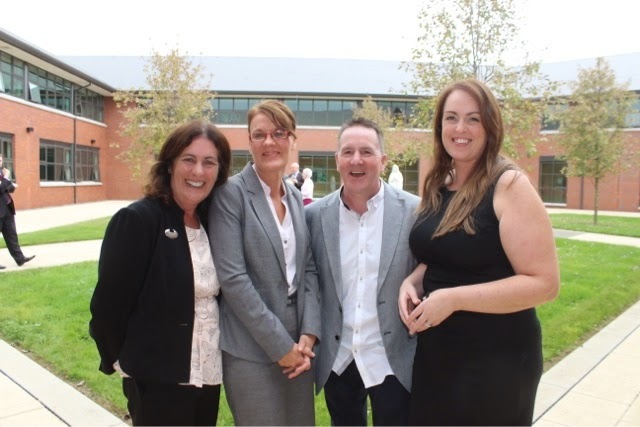 Accepting the award on behalf of the Abbey, Mr Dessie Tennyson, Head of Irish, said “We are delighted to have been awarded such a prestigious accolade and it is a tribute to the hard work of both pupils and teachers within the department. 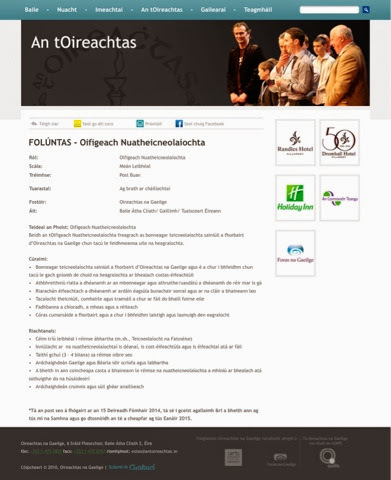 We are delighted that so many of our invited guests were ableto celebrate in the ceremony as they all had a part to play in the high standards achieved by our pupils” He made special reference to Gael-Linn, the local branch of Conradh na Gaeilge and Comhaltas Uladh in particular for their services every year. 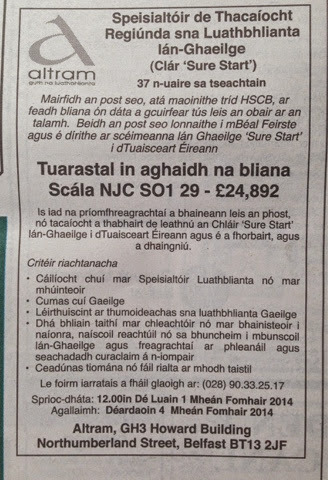 Without doubt, the opportunities for using Irish in the Newry area are to be praised. 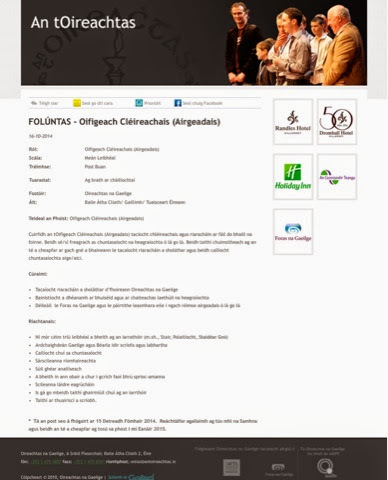 The new Irish Language hub, GaelárasMhicArdghail, and a new Irish Language youth club, Club Óige an Iúir, (opening next month) are indeed, an inspiration to this group of pupils. 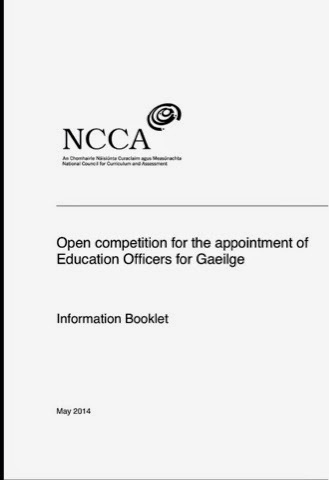 Mr Tennyson reserved special praise for the group of students who participated in this competition. 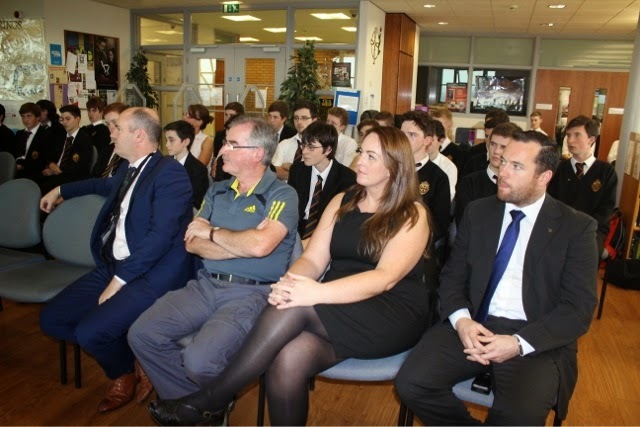 He reminded them that they were an inspirational bunch of students who should build upon this success and that they were the future of the Irish Language in the Newry and Mourne area. 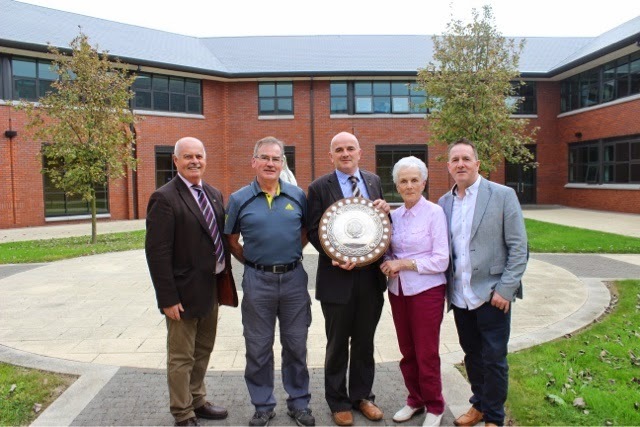 The Irish Department in the Abbey have been very successful in the last number of years having been awarded two All-Ireland awards in 2008 and 2011 from Foras na Gaeilge and now the Ashbourne Shield in 2014. 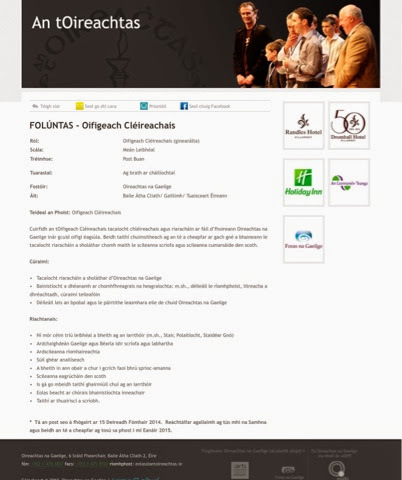 Invited guests included; Bishop Sean McAreavey, Mr Sean Fearon, ETINI Irish Inspector, Réamonn Ó Ciaráin (Gael-Linn), Dominic Bradley (MLA), Ursula Mhic an tSaoir and Treasa Mhic Aoidh Bhuí (Newry and Mourne Council), Séamas MacDhaibhéid (Gaeláras Mhic Ardghail), Peadar Ó hEochaidh and Margaret Comer (Craobh an Iúir). 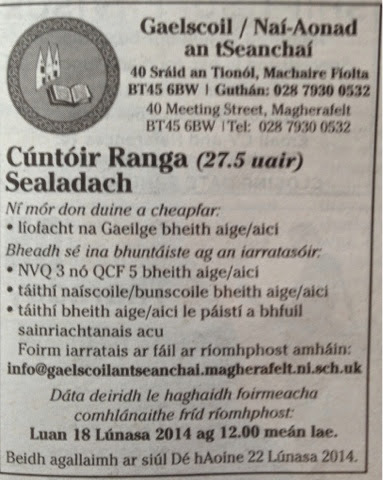 Maith sibh TG Lurgan ARÍS! 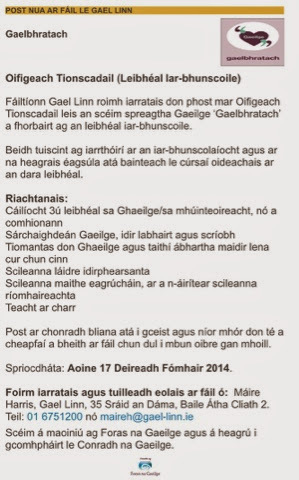 TG Lurgan produce the goods again with their own Irish Language Version of Cold Play's 'Sky Full of Stars'. 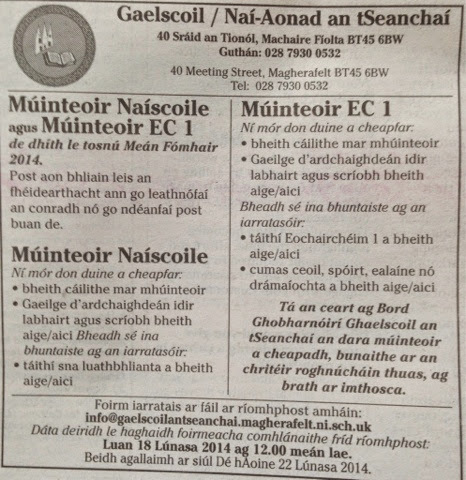 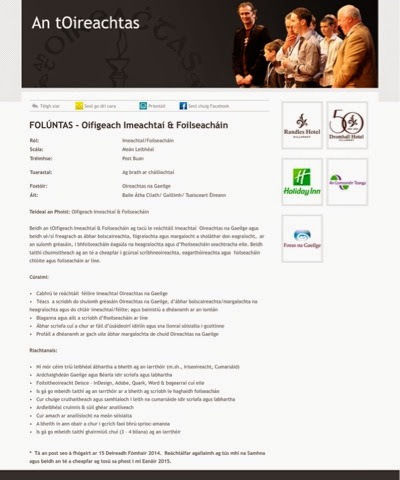 Based in Foras na Gaeilge Headquarters in Dublin.